The core value of any business is if you are so good, they can’t ignore you. 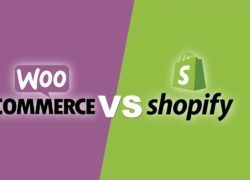 Like how, if you are running an ecommerce website as your core business, you must be careful about your website design because looks matter and online stores are not exempt from this rule. Actually, good design speaks volumes about a business. After all these years in internet, you never know which strategy is going to work best for you but yes, a little attention on your website may give you great outcomes in future. To run a successful online biz, good design and effective ecommerce should go hand in hand. The first and important thing to consider is how users are going to find what they’re looking for in your site. You’ve to think as per user’s prospective. 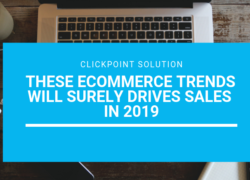 Suppose, your typical ecommerce site has hundreds of products, but users can’t be expected to scroll through them all to find what they need. You should show them exactly what they want on the homepage and enable them to check out with a click button. Some time you may provide declaration of conformity to provide the details user manual to the client, Declaration of Conformity Template Method is a great process to get it easily. Here are the most important dos and don’ts to help your customers to find out what they’re exactly looking for. Pop-ups are one of the most important conversion rate optimization tool for ecommerce development services. To fetch user’s attention, it is a very useful in the cost of small annoyances. So many times, we’ve experienced while landing on a website that instantly served a pop-up. While occupying the page, this may make your users closing their browser. Give your visitors some time to work out what they’re looking at before you start showing things in their face. When a pop-up is blasted in front of a user without any context, it can become an annoyance. So, you must be sure what you offer before you showing your users. It is wise to display pop-ups, when the user is diverting away from the cart. Suppose user has something in his cart already and pop up shows ‘25% Off’ on that, then this 25% off might be just what user needs to be converted into the sale. Business happens. Product is the real aspect of ecommerce. If visitors get a really good shopping experience you could be the next Amazon otherwise you could end up miserably. Instead of overloading your visitors with so many product choice, focus on showcasing products they’re most likely to be interested in. Look at your sales data for this – what’s selling? What isn’t, but should be based on industry benchmarks. As we said it before, never underestimate how your products look on the page. Make sure, you have good pictures of all your products because a bad view could make people question whether you have the same item in stock or not. Your products must be clearly and sensibly categorised and should give the user an easy navigation experience from one category to another. And your search function needs to be flawless always. Showing of similar products encourages a user who may not be interested in the specific product to buy the same kind of stuff taking advantage of human tendency. When it comes time to build the check-out process of your ecommerce website, you should not provoke your customers anyway. There’s a time and a place to encourage newsletter signups, and before somebody put in their card details and hit the ‘buy now’ button. So don’t distract. If you make a customer put in all their details and get all the way through the purchase process before you suddenly raise your cart value with shipping, then there will be a chance of deal cancellation. People don’t want to click many times or input any more fields than that is absolutely necessary. And the most important thing is security. So you must be careful of both these things.